Organic Aloe Vera & Lavender family conditioner for everyday use, recommended for normal or dry hair. This natural conditioner restores hair’s natural moisture & sheen, and is rich in protein & natural B vitamins (Wheat germ oil & Brewers yeast). Leaves manageable shiny hair that feels healthy, silky & revitalised. Suitable for people who may be prone to eczema and psoriasis. Made without SLS/SLES, alcohol (ethyl alcohol, ethanol), Parabens, phthalates and artificial fragrances. 92% certified organic ingredients. Contains fairly traded ingredients. 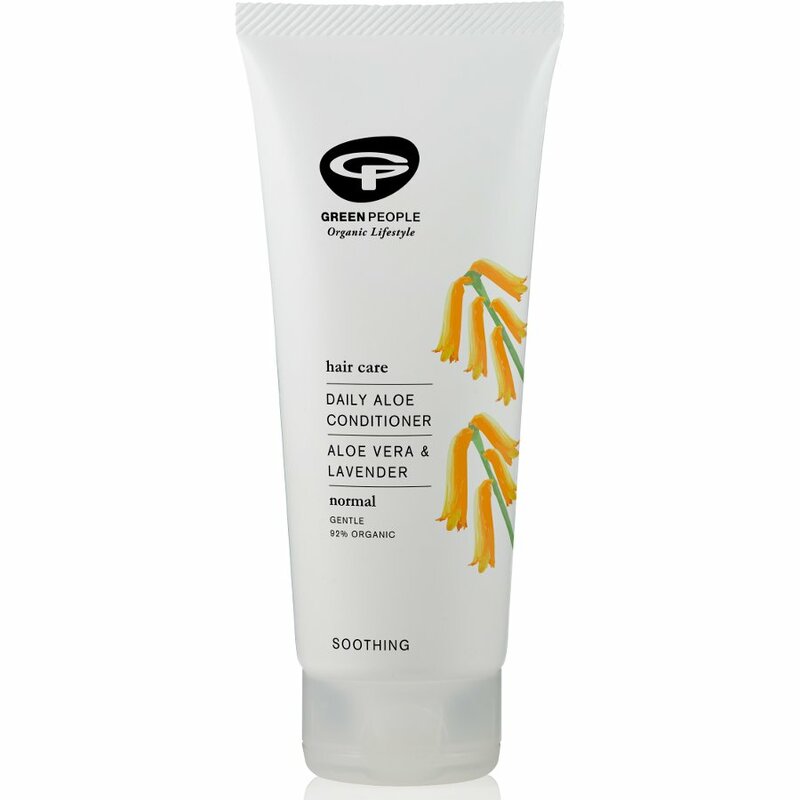 There are currently no questions to display about Green People Organic Daily Aloe Conditioner 200ml.